In 2017, the Palmetto GBA team collectively made a difference to more than 30 organizations. We met a variety of needs by collecting items for the homeless, volunteering our time and donating our resources to organizations and events like American Heart Association, Palmetto Place Children’s Shelter, United Way and American Cancer Society’s Relay for Life. 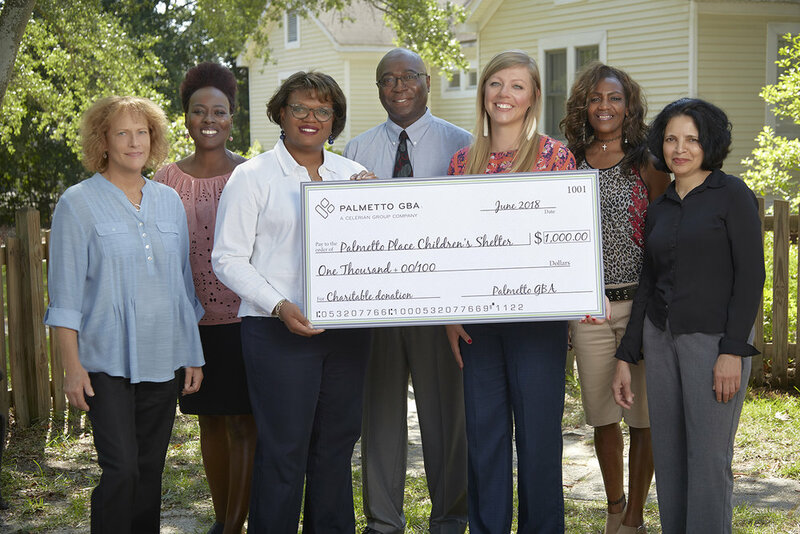 To honor and recognize associates’ admirable commitment to community service, Palmetto GBA developed two awards — Gifts of Time & Talent and Gifts of Treasure — allowing winners to grant $3,000 to the charities of their choice. The 2017 Best of Philanthropy Award Gifts of Time & Talent winner is the Augusta Operations’ Relay for Life Team. This team shared their time volunteering throughout a 24-hour American Cancer Society fundraising event. They also used their baking and food sale talents to raise money for the organization. The team also chose to help local children by donating their grant money to The Boys and Girls Club of Augusta. The 2017 Best of Philanthropy Award Gift of Treasure winner is Support Services’ Foster Care Bay Drive. This division collected duffel bags, backpacks and small suitcases for foster care children who otherwise travel from foster home to foster home with their belongings in a paper grocery bag. Continuing their support of children they divided their grant money between Palmetto Place Children’s Shelter in Columbia and Sacks of Love in Kershaw County.